Earlier this month, I hosted Canaan’s inaugural Breakfast Club – a monthly gathering of entrepreneurs to share insights and build community. This month’s focus was the beauty industry. Founders and operators from a new wave of companies were in attendance – including Glossier, Hello Ava, Nudest, Le Culture Club, The Ritualist, Finding Ferdinand and Ever Eden. Why should you pay attention? 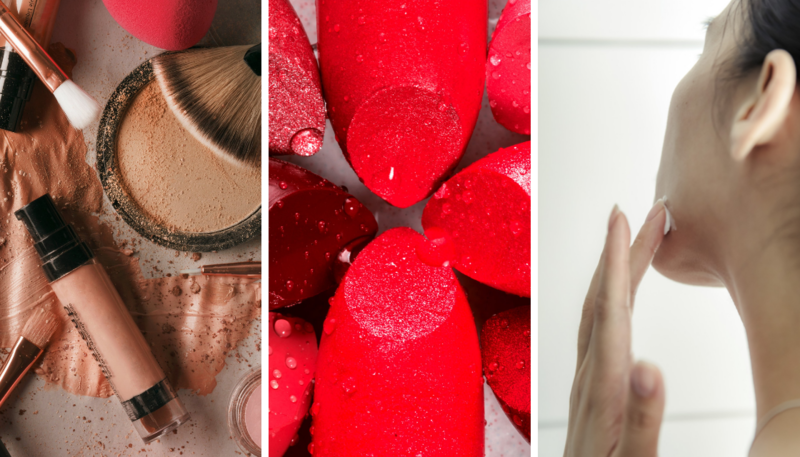 In the past year, there’s been a dramatic shift in how beauty products are bought and sold. According to Nielsen’s “Future of Beauty” report, 96% of traditional brick and mortar retail channels are controlled by the top 20 cosmetics companies. However, 86% of ecommerce channels are controlled by companies outside of those top 20. The ecommerce landscape has flipped in favor of the emerging direct-to-consumer brands and subscription services – fueled by a record year of VC funding, already exceeding $800M for 2018. The conversation at breakfast was a peek inside the heads of operators, founders and investors in the beauty industry. One question dominated the discussion: is there space in the market for emerging brands to replace the legacy players that currently reign? In recent years several companies have broken out: Glossier, Drunk Elephant and Huda Beauty among others. But it’s still a small group. Based on our conversation, distribution is critical in order to win in today’s beauty industry. It’s what separates fast-growing startups from new brands still struggling to find a following. Here’s a summary of different challenges and strategies we shared over coffee and eggs. Many direct-to-consumer brands run into the same issue: acquiring customers is expensive. The cost of acquiring a customer on Instagram and Facebook continues to increase. D2C is a great starting point but most brands must rely on a truly omnichannel strategy to increase discovery at a reasonable price to then drive online sales. Fenty Beauty, an LVMH-owned brand created by Rihanna, is an exemplar in this space. Fenty was the first ever global beauty launch, premiering simultaneously online and in over 1600 stores across 17 countries. Even more impressive, Fenty crushed the social media approach. The brand added 600K followers in a single day and earned over 1.6B organic social media impressions at launch. And sales followed: $72M in the first month alone. Sephora – Friend or foe? For most, Sephora (and other beauty retailers like Ulta, Credo Beauty and Target) is a friend. It allows for discovery and testing – critical for experiential products like cosmetics, skincare, and fragrance. In fact, Sephora has been a kingmaker for brands like Drunk Elephant – with the benefit of Sephora-store placement and marketing, Drunk Elephant became a hero brand in the clean beauty category. It’s now on track to exceed $100M in net sales for 2018. That said, before signing away a portion of your margin to one of these retailers, it’s important to make sure you have a clear roadmap for how retail fits into your overall strategy. Going into retail just as a “test” can end up being an expensive experiment once your minimum purchase orders, marketing, store training and time spent are all accounted for. Everyone is thinking about them, but nervous to admit it. In today’s beauty landscape (and basically any landscape), Amazon is an important player for distribution. As consumers are now addicted to the IV drip known as Amazon Prime, the ecommerce behemoth has become the initial place for product search and discovery. Amazon has an entire section dedicated to nearly 300 luxury beauty brands - the likes of Lanvin, Burberry, Stila and more. Furthermore, Amazon’s Launchpad program has deepened efforts to market and promote indie beauty brands. Okay, so Amazon allows for easy discovery and replenishment. What’s the catch? First and foremost is the issue of brand equity. On the Amazon platform, brands have limited control over the look and feel of their brand. In addition, given how much traffic Amazon gets, the Amazon product pages are often indexed higher on Google searches than the brand’s actual website, further diluting the brand story. Even worse, there is the threat of Amazon developing its own version of your product. Though they have yet to do this explicitly in the beauty category, it’s a tried and true strategy with Amazon Basics, Amazon Essentials and a slew of other Amazon private labels. The ecomm giant has also shown early signs of moving into the personal care market with the launch of their Solimo brand for things like lotion and body oils. To summarize, here’s the dilemma: list with Amazon but run the risk of damaging your brand (not to mention the margin hit). Or, don’t list with Amazon, but handicap the company’s distribution. And even if you choose to go without Amazon, grey market sellers may sell fake versions of your product, thus diluting your brand anyway. 1. Register for Amazon Seller Central. It requires more leg work as a third-party seller but means your brand controls pricing (and inventory depth). You may lose out on some of the marketing and management resources that come with Amazon’s Vendor Central program, but the benefit in margin and brand story is more valuable. 2. List one hero SKU on Amazon to allow consumers to discover your brand. They are searching for you on Amazon already, so why not make that initial customer acquisition a bit easier. Then, push the customer to your D2C site to discover additional products and replenish. 3. Sign up for Amazon’s Brand Registry to protect your brand from misrepresentation and fakes. So how do we get to the next billion dollar outcome in beauty? It starts with distribution, which is both a challenge and an opportunity for innovation. As an investor, it is an exciting time to work with new brands in beauty, and perhaps even more so, the enabling technologies that will help these brands get to scale. Distribution will be at the center of the next billion-dollar idea in the beauty industry. At the same time, hundreds of brands start up and reach moderate scale, there is now, more than ever, a need for technologies that enable all of these brands.